For other uses, see Detergent (disambiguation). A detergent is a surfactant or a mixture of surfactants with "cleaning properties in dilute solutions." These substances are usually alkylbenzenesulfonates, a family of compounds that are similar to soap but are more soluble in hard water, because the polar sulfonate (of detergents) is less likely than the polar carboxyl (of soap) to bind to calcium and other ions found in hard water. In most household contexts, the term detergent by itself refers specifically to laundry detergent or dish detergent, as opposed to hand soap or other types of cleaning agents. Detergents are commonly available as powders or concentrated solutions. Detergents, like soaps, work because they are amphiphilic: partly hydrophilic (polar) and partly hydrophobic (non-polar). Their dual nature facilitates the mixture of hydrophobic compounds (like oil and grease) with water. Because air is not hydrophilic, detergents are also foaming agents to varying degrees. Detergents are classified into three broad groupings, depending on the electrical charge of the surfactants. Typical anionic detergents are alkylbenzenesulfonates. The alkylbenzene portion of these anions is lipophilic and the sulfonate is hydrophilic. Two different varieties have been popularized, those with branched alkyl groups and those with linear alkyl groups. The former were largely phased out in economically advanced societies because they are poorly biodegradable. An estimated 6 billion kilograms of anionic detergents are produced annually for domestic markets. Bile acids, such as deoxycholic acid (DOC), are anionic detergents produced by the liver to aid in digestion and absorption of fats and oils. Three kinds of anionic detergents: a branched sodium dodecylbenzenesulfonate, linear sodium dodecylbenzenesulfonate, and a soap. Cationic detergents are similar to the anionic ones, with a hydrophobic component, but, instead of the anionic sulfonate group, the cationic surfactants have quaternary ammonium as the polar end. The ammonium center is positively charged. Non-ionic detergents are characterized by their uncharged, hydrophilic headgroups. Typical non-ionic detergents are based on polyoxyethylene or a glycoside. Common examples of the former include Tween, Triton, and the Brij series. These materials are also known as ethoxylates or PEGlyates and their metabolites, nonylphenol. Glycosides have a sugar as their uncharged hydrophilic headgroup. Examples include octyl thioglucoside and maltosides. HEGA and MEGA series detergents are similar, possessing a sugar alcohol as headgroup. Zwitterionic detergents possess a net zero charge arising from the presence of equal numbers of +1 and −1 charged chemical groups. Examples include CHAPS. See surfactants for more applications. In World War I, there was a shortage of oils. Synthetic detergents were first made in Germany. One of the largest applications of detergents is for washing clothes. The formulations are complex, reflecting the diverse demands of the application and the highly competitive consumer market. In general, laundry detergents contain water softeners, surfactants, bleach, enzymes, brighteners, fragrances, and many other agents. The formulation is strongly affected by the temperature of the cleaning water and varies from country to country. 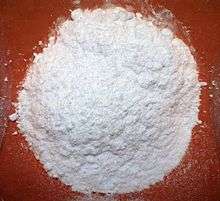 Sodium tripolyphosphate was an excellent builder used in laundry detergent powders. However, due to issues of biodegradability many countries have banned the use of phosphates in detergents. Manufacturers are using substitutes such as EDTA and other biodegradable chemicals instead. Both carburetors and fuel injector components of Otto engines benefit from detergents in the fuels to prevent fouling. Concentrations are about 300 ppm. Typical detergents are long-chain amines and amides such as polyisobuteneamine and polyisobuteneamide/succinimide. Reagent grade detergents are employed for the isolation and purification of integral membrane proteins found in biological cells. Solubilization of cell membrane bilayers requires a detergent that can enter the inner membrane monolayer. Advancements in the purity and sophistication of detergents have facilitated structural and biophysical characterization of important membrane proteins such as ion channels also the disrupt membrane by binding Lipopolysaccharide, transporters, signaling receptors, and photosystem II. Soapless soap refers to a soapfree liquid cleanser with a slightly acidic pH. Soapless soaps are used in an array of products. ↑ "IUPAC Gold Book - detergent". Goldbook.iupac.org. 2012-08-19. Retrieved 2013-01-12. ↑ David O. Whitten; Bessie Emrick Whitten (1 January 1997). Handbook of American Business History: Extractives, manufacturing, and services. Greenwood Publishing Group. p. 221. ISBN 978-0-313-25199-3. ↑ Koley D, Bard AJ (2010). "Triton X-100 concentration effects on membrane permeability of a single HeLa cell by scanning electrochemical microscopy (SECM)". Proceedings of the National Academy of Sciences of the United States of America. 107 (39): 16783–7. doi:10.1073/pnas.1011614107. PMC 2947864 . PMID 20837548. ↑ Lichtenberg D, Ahyayauch H, Goñi FM (2013). "The mechanism of detergent solubilization of lipid bilayers". Biophysical Journal. 105 (2): 289–299. doi:10.1016/j.bpj.2013.06.007. PMC 3714928 . PMID 23870250. ↑ Doyle, DA; Morais Cabral, J; Pfuetzner, RA; Kuo, A; Gulbis, JM; Cohen, SL; Chait, BT; MacKinnon, R (1998). "The structure of the potassium channel: molecular basis of K+conduction and selectivity". Science. 280 (5360): 69–77. doi:10.1126/science.280.5360.69. PMID 9525859. ↑ Umena, Yasufumi; Kawakami, Keisuke; Shen, Jian-Ren; Kamiya, Nobuo (2011). "Crystal structure of oxygen-evolving photosystem II at a resolution of 1.9 A". Nature. 473: 55–60. doi:10.1038/nature09913. PMID 21499260. ↑ Tyebkhan G (2002). "Skin cleansing in neonates and infants-basics of cleansers". Indian J Pediatr. 69 (9): 767–9. doi:10.1007/BF02723687. PMID 12420908. Wikimedia Commons has media related to Detergents. Campbell tips for detergents chemistry, surfactants, and history related to laundry washing, destaining methods and soil.